Ex. Guardian North 16 not only represents the first deployment in Japan for RAF Eurofighters but also marks the first bilateral exercise ever in Japan for the JASDF to host with foreign military other than the U.S.
Taken on Oct. 22, 2016 the video in this post shows four Royal Air Force (RAF) Typhoon fighter aircraft, arriving at Japan Air Self Defense Force (JASDF) Misawa Air Base, in the northern part of the island of Honshu on Saturday. 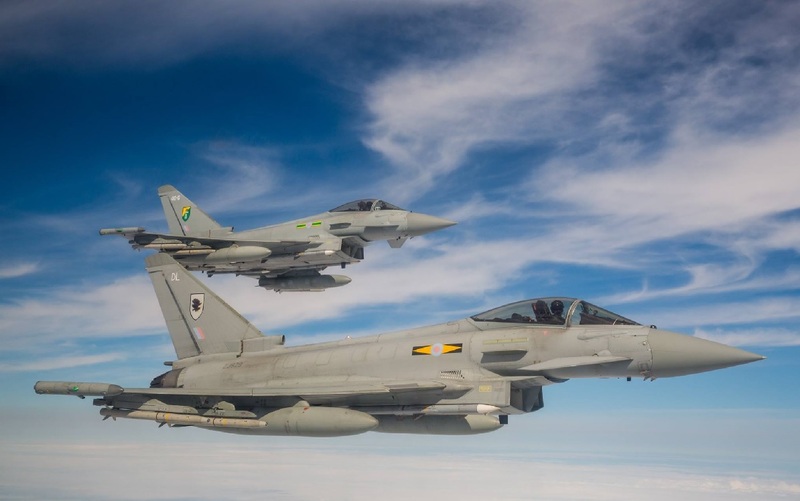 A Voyager tanker from RAF Brize Norton, provided air-to-air refuelling during the 3,500 mile (5,600 km) non-stop flight from Malaysia, where the Eurofighters have successfully completed Exercise Bersama Lima 16 which ran from Oct. 4 to Oct. 21, 2016. Guardian North 16 not only represents the first deployment in Japan for RAF Eurofighters, but also marks the first bilateral exercise ever in Japan for the JASDF to host with foreign military other than the U.S., and it is an opportunity for both air forces to learn from each other and develop their skills. In fact F-15 Eagle fighters from Northern Air Defense Force (Chitose) Air Base (Hokkaido), and F-2 multirole fighters from Northern Air Defense Force, Misawa Air Base will take part to the exercise too flying air-to-air intercept missions over the Pacific Ocean along with RAF Eurofighters. During their stay in Japan Typhoons will be supported by RAF C-17 transport aircraft carrying essential engineering equipment.